I love custom quilting. 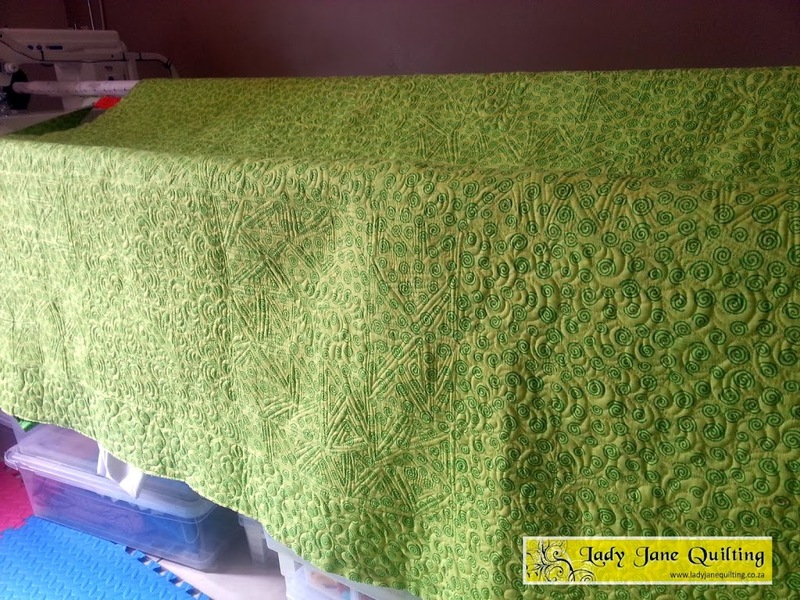 But once in a while a quilt comes around that actually calls for an edge-to-edge pattern. And in hindsight I think this quilt was one of them. The fabric is so bold and vibrant and the pattern is irregular, no amount of custom work, even if it was done in black, would have done it more justice (I think). I have opted for more of a background fill, alternating between a bubble type fill and a wonky in-out triangle design with a loose leave-like feather in the centre blocks. 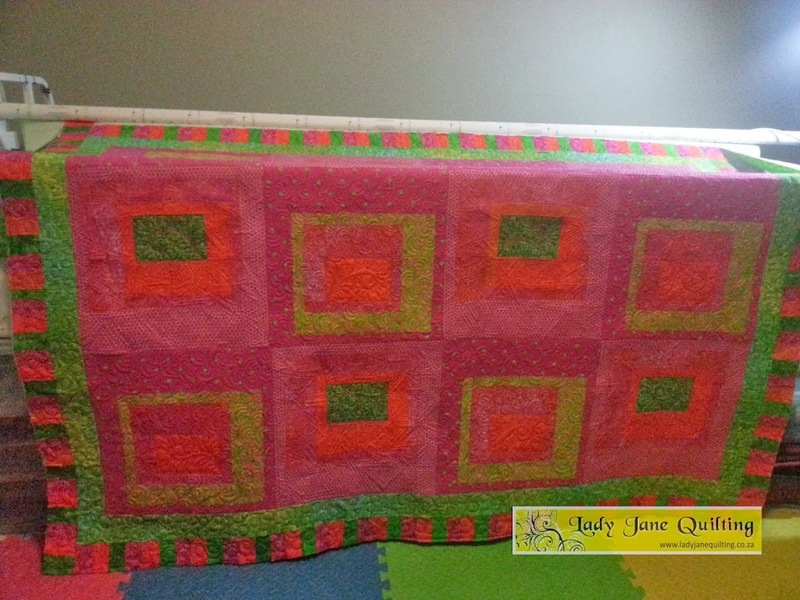 The quilt lies flat and square and I hope Annarine will be happy. 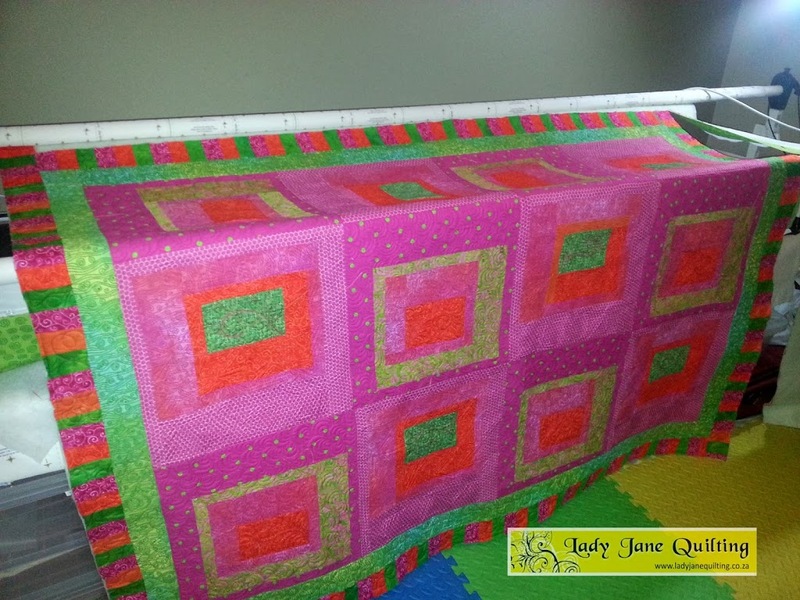 This is the quilt that has a twin sister, just more orange overall. I wonder… I have not made my mind up yet as to what to do on her. Similar style or edge-to-edge? We’ll see.